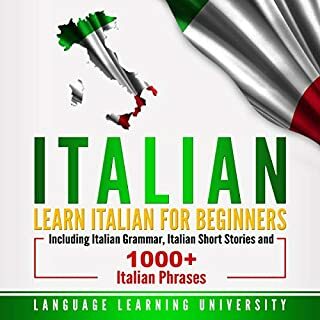 Start speaking Italian in minutes, and grasp the language, culture and customs in just minutes more with Absolute Beginner - Italian, a completely new way to learn Italian with ease! 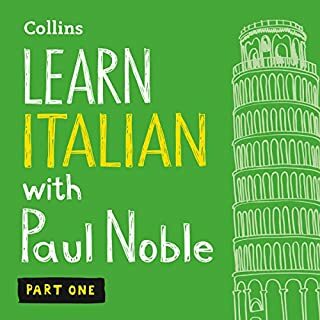 Absolute Beginner - Italian will have you speaking with proper pronunciation from the very first lesson and arm you with cultural insight and other information to utterly shock and amaze your Italian friends. This download provides the opportunity to hear and practise the language. The phrases are kept short and simple so that by listening two or three times, you can pick up the essentials of the Italian language. 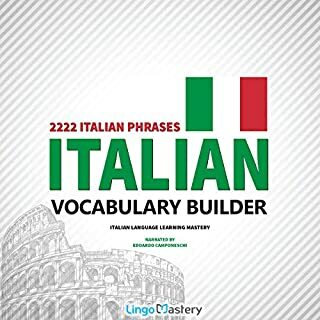 Welcome to Everyday Italian for Beginners - 400 Actions & Activities by Innovative Language. 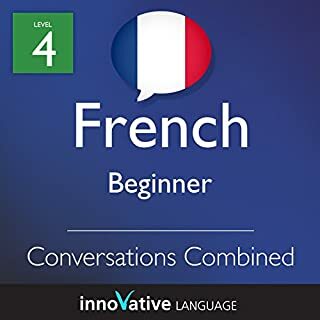 This audiobook is a new way to learn and speak a language fast. Start speaking in minutes with powerful learning methods that you'll learn inside. Using this audiobook is simple. You'll learn practical phrases for over 400 daily activities through 10 easy chapters. The phrases were chosen by a panel of professional language teachers and are some of the most frequently used phrases in daily conversation. Here are errors in this book. This course consists of lessons centered on an audio blog that is completely in Italian. The audio blog postings take you around Italy and introduce you to many different aspects of the country, including culture, history, folklore, the arts, and more. You will learn all about many different cities, and what they are famous for. 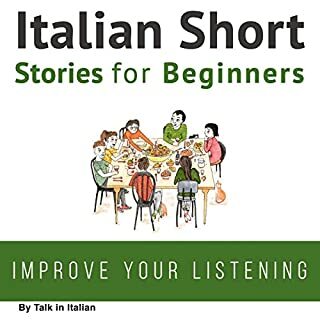 Along the way, you'll pick up sophisticated expressions and advanced grammar in this audio blog series presented entirely in Italian. 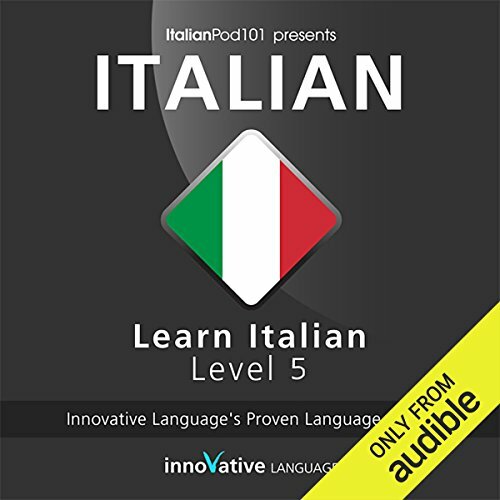 Start speaking Italian in minutes, and grasp the language, culture and customs in just minutes more with Lower Intermediate - Italian, a completely new way to learn Italian with ease! just listen to Netflix in Italian with subtitles. so confused. 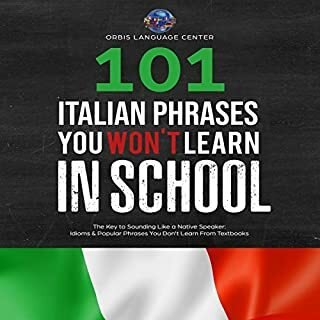 I thought this was a course to LEARN Italian. It is simply a guy who reads stories in Italian and there is no translations at all. That's it. That is all it is. I would recommend you just go on Netflix, watch something with Italian language and put on subtitles in your language of choice. You will learn a lot more that way than this program. Good thing this was free! I guess you really do get what you pay for. I'm deleting it now. In any case, I don't recommend this program. Instead, if you want to learn Italian, or any other language, just get Pimsleur. It's more expensive, but here on Audible you can get it fairly cheap, especially if you save up your credits and buy all thirty lessons in a phase together. It's a much better language learning process, which you can do in your car. Other programs try to copy it, but there is nothing better. If you could play editor, what scene or scenes would you have cut from Learn Italian with Innovative Language's Proven Language System - Level 05: Advanced? Complete and utter waste of time. This is a total waste of time - save your data storage and valuable minutes of life for a non-scam.